Library – Orchard Human Services, Inc.
We are excited to share the wealth of information, knowledge, and resources that we continue to accumulate over time. NOTE: This page is currently under development. Come back to see more in the upcoming months! 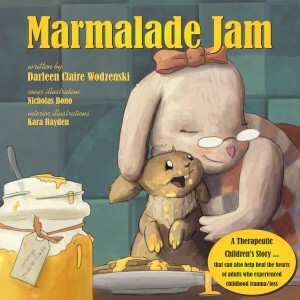 Marmalade Jam is a therapeutic children’s story to help children of all ages to overcome trauma, abuse, and neglect – especially concerning food insecurity in individuals who were deprived of daily food and nutrition. This whimsical story helps heal hearts one charming page after another … and is just the first in an entire therapeutic series based on the Juno the Fluffy Bunny character. Must be read to younger children; may be co-read with third grade to sixth; can be read independently at seventh grade level and up. 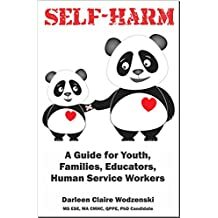 Self-Harm is a wonderful guide for youth, family, and others in the community who are dealing with a young person who self-harms. The trend of self-harming, whether by cutting or other means, has reached epidemic proportion. This guide will help get you on track to know what to say, how to respond, and more importantly – how to find resources to make it better. Please give a gift of this book to all your churches, school counselor offices, and libraries; it may save a life of someone you love. 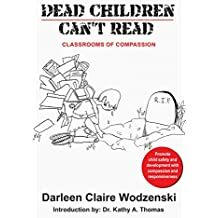 Dead Children Can’t Read is an important book that discusses the challenges of an educational system that pushes reading and academics on children who are mentally disturbed, developmentally challenged, depressed, suicidal, or violent towards others. This book presents a saner response to children in distress, and explains how to properly prioritize children’s learning and development to produce healthy and effective students who are able to learn academic curriculum while moving on to become healthy citizens and positive contributors to society. Please share a copy with your school counselor’s office, local library, and church or religious organization. It just may save the life of someone you know and love. Raising Social Children is a practical and useful tool to help parents and educators identify when a child is at risk for social development. 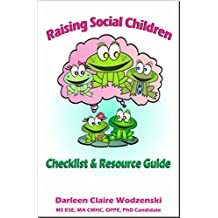 The book discusses ways to evaluate a child’s social development and ways to promote further socialization of children no matter what their level. The guide offers explanations of ways to access resources in the community to help identify social development issues, and resources to find evaluation, treatment, intervention, and solutions. Please share a copy of this valuable resource with the school counselor’s office, local library, and your church or religious organization. 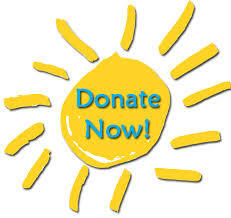 It may help ensure the happy learning, growth, and development of someone you know and care about.